You depend so much on your vehicles every day. Whether it’s the family SUV or a work truck, it can be frustrating when you experience transmission problems. Sometimes, standard transmission maintenance is all you need to get back on the road. Other times, the damage may be more severe and major transmission repairs—or even a full transmission rebuild—may be required. When it comes to transmission repairs, you want to put your trust in a specialist who understands the complexities of a transmission and the entire drivetrain system. A regular mechanic may not be as knowledgeable about transmissions, so you’ll want an expert like Ralph’s Transmission to help you. Transmissions are our business. At Ralph’s Transmission, we are committed to more than just continuing a local legacy of excellent customer service. We are focused on the future. The transmission industry has changed a lot since 1969, so we have incorporated new technology and cutting-edge techniques to bring Ralph’s Transmission into the 21st Century. This has included installation of heavy duty lifts to handle large work trucks and hiring technicians with specific transmission experience to provide specialized services. 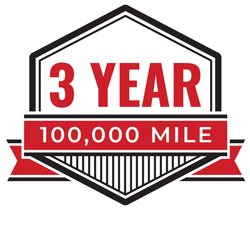 One of our boldest moves is offering an industry-leading 3 Year, 100,000 Mile Warranty on all transmission rebuilds performed at the Ralph’s Transmission shop. We stand behind our quality and you can rest assured that your rebuilt transmission will stand the test of time. Whatever your transmission needs, Ralph’s Transmission has you covered. Whether it’s your personal vehicle, a truck you use every day for your business or a full fleet of service vehicles that require transmission maintenance and repairs, we are the complete drivetrain specialists to handle anything including transmissions, clutches, differentials, transfer cases and more. Above all else, we are committed to repairing your transmission as quickly as possible. You’ll be back on the road feeling a better sense of safety and security while your transmission performs its best. When you add it all up, it’s easy to understand why Ralph’s Transmission continues to be the shop that more Central Valley residents turn to when they need transmission service. We love trucks and we bring A Commitment to Quality to everything we do. That’s a promise you can always count on.